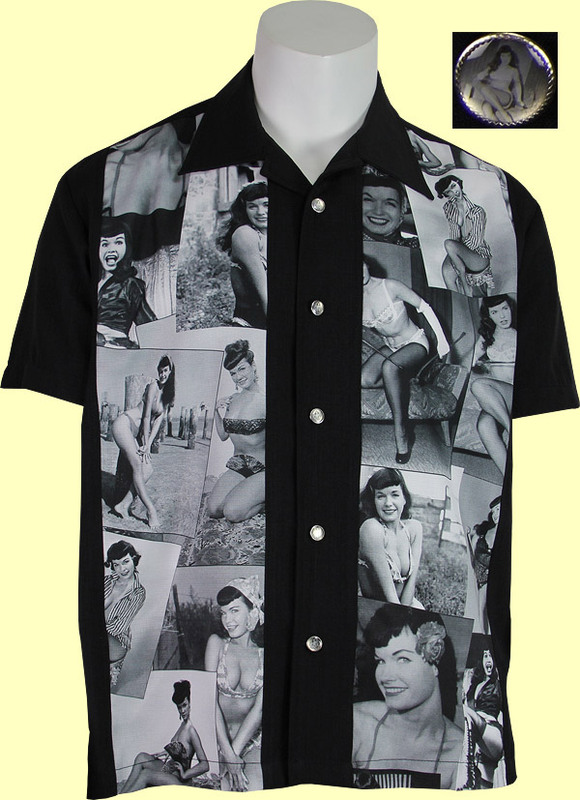 This classically styled black shirt features two front panels with various photos of Bettie Page. The buttons with an image of Ms. Page add a very nice touch.